An article by Mises Institute contributor Marcia Christoff-Kurapovna believes that now is the ideal time for Russia to introduce a gold-backed ruble. Mises Institute contributor Marcia Christoff-Kurapovna believes that Russia may be in the process of planning for the introduction of a gold-based currency, and would be better off for it. "Though a far-fetched idea at first glance, many factors suggest that remonetization in gold may be a logical next step for Moscow," Christoff-Kurapovna notes in an analytical article published Friday on the libertarian think tank's website. The columnist notes that several factors may play into the decision, including Russia's recent partial detachment from Western economic and financial structures, sanctions, the ruble's devaluation and economic decline. She further explains that even before the sharpening of relations between Russia and the West, economists close to Vladimir Putin have for years "been expressing [Russia's] unwillingness to remain at the monetary mercy of the US and its NATO allies," among them Sergei Glazyev, economic advisor to the president, and political ally to Deputy Premier Dmitri Rogozin. Christoff-Kurapovna also points out that despite the ruble's dramatic decline at the end of 2014, Russian economists rejected the idea of selling off gold reserves to prop up the currency, and on the contrary continued a heavily publicized purchase of gold. Christoff-Kurapovna attributes this to a keen awareness of the past lack of success among European countries including Britain, France, Italy and Spain in propping up their economies via the selling off of reserves. 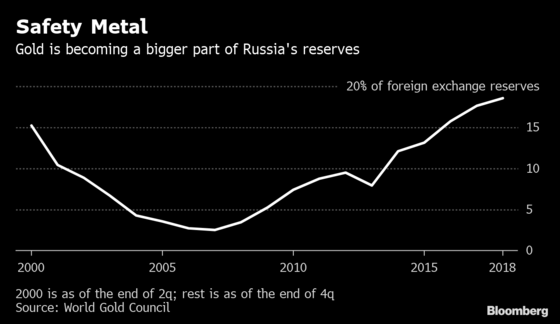 The expert argues that "while the Russian economy is structurally weak, enough of the country's monetary fundamentals are sound, such that the timing of a move to gold, geopolitically and domestically, may be ideal." The expert echoes commentary made by Russian economists and financiers, including recently by Central Bank Head Elvira Nabiullina, namely, that Russia's debt to GDP ratio is low (equivalent to $478 billion in a $2 trillion economy), with most of its external debt in private hands, which has also declined by $100 billion, and with a budget deficit projected at less than 1 percent of GDP. Christoff-Kurapovna believes that as long as Russia continues to be a resource-based economy, its dependence on energy sector exports will play a negative role on currency stability. As a result, she argues, "only a move to gold, arguably, can make the currency stronger, even if it does limit Russia's available currency. In buying as much gold as it has, the country is, in part, ensuring that it will have enough money in circulation in the event of such fundamental transformation." Pointing out the potential benefits of the switch, the columnist argues that a gold-backed currency would turn the ruble into a more respectable world currency, while also making Russia "a more reliable and trustworthy trading partner." More ominously, for the established order, a gold-standard-based ruble would "above all…mean the first major schism in the world's monetary order." If China follows Russia's lead, which Christoff-Kurapovna believes is likely, "it could mean the threat of a severe inflation in the United States should rafts of unwanted dollars make their way back across the Atlantic — the [Federal Reserve's] ultimate nightmare." In her article, the columnist cites bullion exchange expert Alisdair MacLeod, who notes that Russia and China would "hold all the aces" if they moved "the currency war away from the foreign exchanges and into the physical gold market," especially in light of the current low demand for physical gold in Western capital markets. The expert points out that last month, the Shanghai Gold Exchange and the World Gold Council concluded a deal aimed at expanding the Chinese gold market via the Shanghai Free Trade Zone. As far back as December, Macleod told CNBC that "there is no doubt that Russia and China, plus the other Eurasian states in their sphere of influence [such as Kazakhstan], are all accumulating gold and the indications are they see it as central to replacing the US dollar for cross border trade." Macleod noted that "it is already in Russia's interest to cast itself off from inflating western currencies and to base their economy on sound money, aka gold." Christoff-Kurapovna points out that the transition to the gold standard would not be easy for Russia: "As a pro-gold stance is, essentially, anti-dollar, speculation about how the US would react raises the question of whether an all-out currency war would follow. The West would have to keep Russia regionally and militarily marginalized, not to mention kept within the confines of the Fed, the ECB, and the Bank of England (BOE)." Broaching the subject of Russia's possible switch to the gold standard, KavPolit.com columnist Evgeni Lihachev noted recently that even Russia's moves to shift its reserves to non-dollar-based assets and to trade energy resources in ruble-denominated valuations have been viewed with hostility by Washington. An attempt to transition to a gold reserve would be much more serious, Lihachev says, explaining that "the fates of [Iraq's Saddam] Hussein and [Libya's Muammar] Gaddafi in these matters serving as a litmus test." Many Russian geopolitics and economics experts are convinced that the 2011 Western military campaign against Gaddafi was related directly to the latter's plans to stop selling oil in US dollars and to introduce a gold-backed regional currency which would have devastated Western fiat currencies. The earlier invasion of Iraq is similarly believed to be linked to the country's move toward independence from the dollar. Lihachev points out that the United States cannot "act like in Iraq and Libya in relation to Russia…and those measures which it could take it have already been taken." In light of China's continued agreement to ruble denominated gas contracts, Lihachev notes that "one gets the feeling that China knows more than they let on." The expert further notes that "this is indirectly confirmed by the almost synchronous launch by Russia, China and Kazakhstan in actively buying physical gold for national reserves." Ultimately, Lihachev notes that "of course, we still have a long way to go to reach the 'official gold reserves' held by the US, but in the event of a transition to the gold standard, what is important is not so much the amount of gold as the ratio of the reserves to the money supply." Russia's gold reserves are now estimated to be the world's sixth largest, comprising over 1,200 tons as of February 2015. The country purchased a record 152 tons of the precious metal over the course of 2014, including 20.7 tons in December alone, Russia's purchases amounting to nearly a third of total world central bank purchases, according to the World Gold Council. Russian experts have also suggested that unofficial purchases made by the Russian and Chinese governments may have been even higher. The two countries also have a favorable position in global gold production, Russia mining 272 tons of gold in 2014, while China produced a whopping 465 tons, making the two countries the top two producers globally. 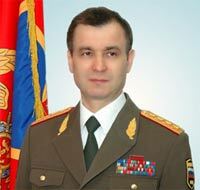 In a bid to counter gold-rush sentiment among both the Russian government and Russian citizens, Former advisor to the Chairman of the Central Bank, financial Obudsman Pavel Medvedev recently told Russia's Svobodnaya Pressa that a gold-based currency is "absolutely impossible" for Russia or for any other country in the world, due to the precious metal's limited supply. He noted that the modern economy needs far more financial liquidity than a gold standard backed currency can provide. "In a word," he stated, "entering the gold standard is not possible –there is not enough gold to achieve it." It remains to be seen what the Russian leadership really thinks about the idea. 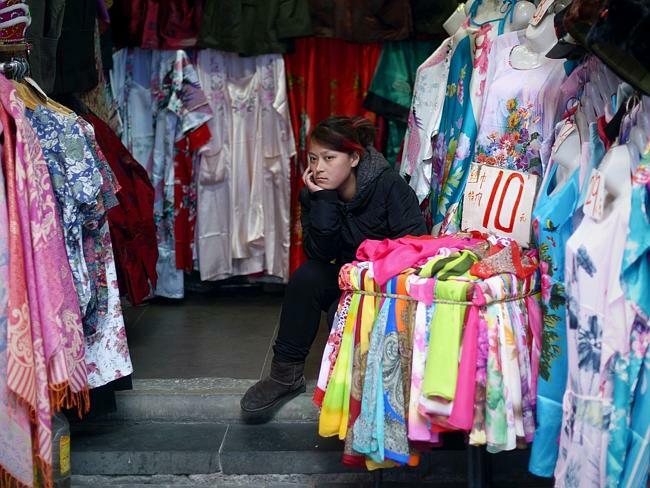 On March 9, sources within China provided new information that validates that the Far Eastern economy is now ready to compete with, or even supplant, the dollar as the sole global reserve currency as early as September of this year. Having already completed a message interchange system that mirrors the same one in the West, the Chinese equivalent of SWIFT is now ready and is expected to be fully operational by the 3rd quarter of 2015, which will allow other nations to transact with the world's largest economy without the need to purchase dollars as a medium of exchange. Additionally, there has been a great deal of speculation over the past two years that China might back their currency with gold once they are fully ready to float it as a global reserve, with strong indications showing that at the very least, China will be calling for the use of international letters of credit or trade notes that are backed by gold to help stabilize transactions using this historical form of sound money. Today, we got proof that it is the second outcome that is about to prevail following a Reuters report that China's international payment system, known simply enough as China International Payment System (CIPS), which serves to process cross-border yuan transactions is ready, and may be launched as early as September or October. Less than a month ago, China's close partner in Eurasia, Russia, implemented and brought online their own SWIFT alternative after economic sanctions by the U.S. continued into their second year, and information was discovered that pointed towards the NSA monitoring all messages going through the Western controlled SWIFT system. Even without a complete global float of the Yuan through their own message interchange, China has grown over the past few years to achieve 9% of all global transactions using their national currency. 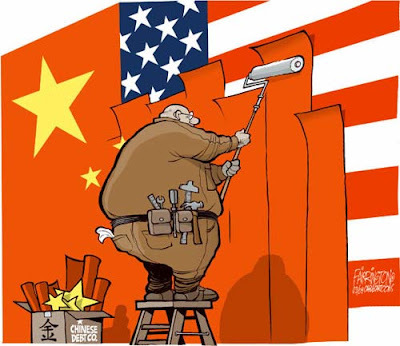 And with dozens of swap lines already in place in banking systems around the world, as well as London banking centers now able to issue Yuan denominated bonds, nearly everything in the global financial system has been mirrored by China to allow them to compete with, or replace, the dollar's function as the reserve currency. The average lifespan for any purely fiat currency is around 30 years, with the dollar surpassing this by more than a decade due to its place as the global standard for trade and oil purchases. However, now that the world's financial system has become saturated with overwhelming debt, and most economies solidly entrenched in currency wars, the world is about ready for a return to sound money and a gold backed currency, which China may be providing to their trading partners within six months. HONG KONG/BEIJING (Reuters) - China's long-awaited international payment system to process cross-border yuan transactions is ready, and may be launched as early as September or October, three sources with direct knowledge of the matter told Reuters. "The CIPS is ready now and China has selected 20 banks to do the testing, among which 13 banks are Chinese banks and the rest are subsidiaries of foreign banks," said a senior banking source who is involved in the matter. "If it's all smooth, (the launch) will be in September or October. If there is a need for a bit more time, we are still confident about (rolling it out) before the year-end," said the source, who declined to be named because he is not authorized to speak to the media. "Misunderstandings under the current clearing system happen from time-to-time due to different languages and codings. The CIPS is a breakthrough since it will offer a united platform and enhance efficiency," said Raymond Yeung, an analyst at ANZ in Hong Kong. "This is a big development for the small and medium enterprise sector operating in China as their correspondent banks can now access a wider network for settling payments in yuan, leading to lower costs," said the head of treasury solutions at a large European multinational company based in Hong Kong. China's yuan became one of the world's top five payment currencies in November 2014, overtaking the Canadian dollar and the Australian dollar, according to global transaction services organization SWIFT. The People's Bank of China was not immediately available for comment when contacted. And it’s true. The renminbi’s importance in global trade and as a reserve currency is increasing exponentially, with renminbi trading hubs popping up all over the world, from Singapore to London to Luxembourg to Frankfurt to Toronto. Multinational companies such as McDonald’s are now issuing bonds in renminbi, and even sovereign governments are issuing debt denominated in renminbi, including the UK. Almost every major global player out there, be it governments or major multinationals, is positioning itself for the renminbi to become the dominant reserve currency. But here’s the thing. Nothing goes up and down in a straight line. And China is in deep trouble right now. The economy is slowing down and the enormous debt bubble is starting to burst. A lot of people, including the richest man in Asia, are starting to move their money out of the country. So while the long-term trend is pretty clear – China becoming the dominant economic and financial superpower – the short-term is going to look incredibly rocky. We talk about this in today’s short podcast with Sovereign Man’s Chief Investment Strategist, Tim Staermose, which includes a few ways to actually make money from China’s short-term unwinding. The BRICS New Development Bank (NDB) was set up to challenge two major Western-led giants – the World Bank and the International Monetary Fund. NDB's key role will be to serve as a pool of currency for infrastructure projects within a group of five countries with major emerging national economies - Russia, Brazil, India, China and South Africa. WHEN people try to pinpoint the start of a ‘new world order’ they could look to March 2015. This week, Australia announced it would sign on to China’s plans to create a new Asian Infrastructure Investment Bank to rival global institutions like the World Bank and International Monetary Fund. But far from being some boring economic plan, the bank — which aims to address the $8 trillion infrastructure gap and provide $100 billion for new roads, bridges and ports in Asian economies — could usher in a new phase of regional influence for China without US involvement. UNSW’s Institute of Global Finance director Fariborz Moshirian said China’s massive foreign exchange reserves and desire for more power have driven Beijing’s plan. Overnight, Japan, Taiwan and Egypt expressed interest in become founding members taking the total number of countries involved to more than 40. They’re the latest in a flood of traditional US allies who have signalled intention to join including Australia, Britain, New Zealand, France, Germany, Switzerland and South Korea. It leaves the US the only major economy not involved, a decision described as “problematic at best and churlish at worst” by Brookings Institution analyst Jonathan Pollack. It comes after the US waged a lobbying campaign against the plan citing concerns over how the bank will be managed. Australian Institute of International Affairs’ Ashley Rogge said the mass influx has left the US feeling “embarrassed” after stalled IMF reforms mean the US missed an opportunity to give China greater say in existing organisations. Details over where the bank will based and how it will work are still underway with more discussions expected before countries formally sign on. However joining the negotiations early means they will receive a greater say in how the bank is shaped. Prime Minister Tony Abbott said on Sunday progress in terms of transparency and governance prompted Australia’s late decision to apply for membership. However he stressed that key matters like authority over major investments and who has ultimate control still need to be resolved. 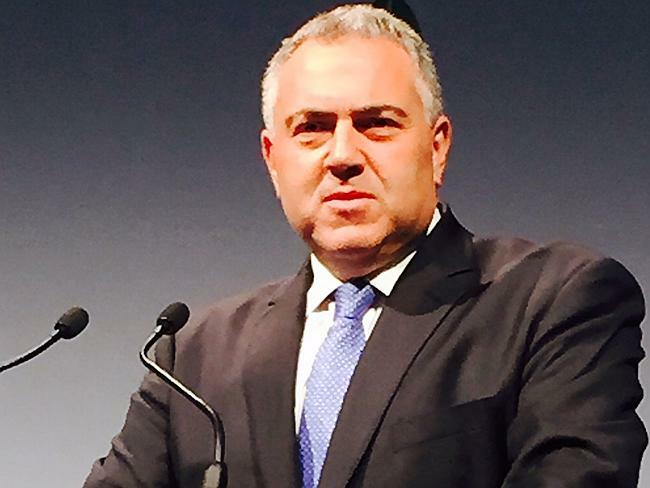 Treasurer Joe Hockey said interest from other countries also helped. Overnight, US Treasury Secretary Jack Lew said Washington wants the new AIIB to partner with other Washington-based institutions on projects, with officials still worried about how lending will take place. Professor Moshirian said while the door is likely to remain open to US involvement, the reality is China has the money and partnerships to do it anyway. The deadline for countries to apply to join the bank is 31 March. 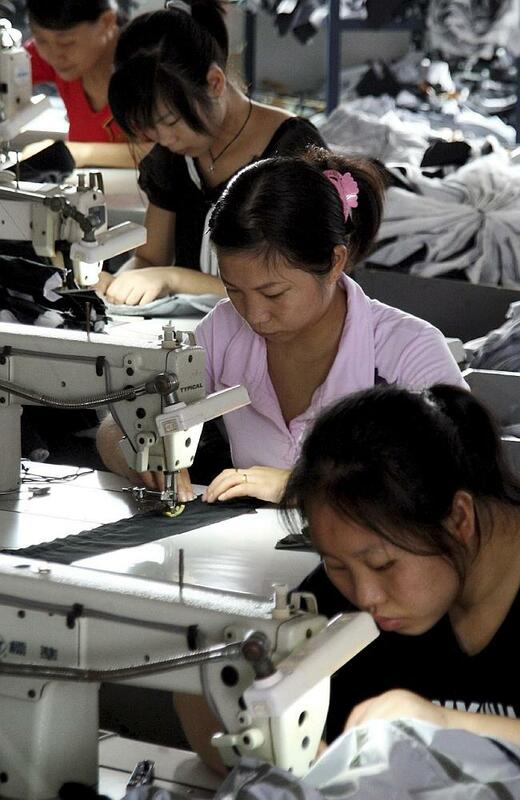 China's new development bank, which was announced just five months ago, is becoming a massive headache for the US. Try as it might, the US government can't persuade its allies to stop joining the Asian Infrastructure Investment Bank (AIIB). The bank will be a bit like the World Bank, providing loans to developing countries in Asia for infrastructure projects. Unlike the World Bank, China will hold the reins of the AIIB. 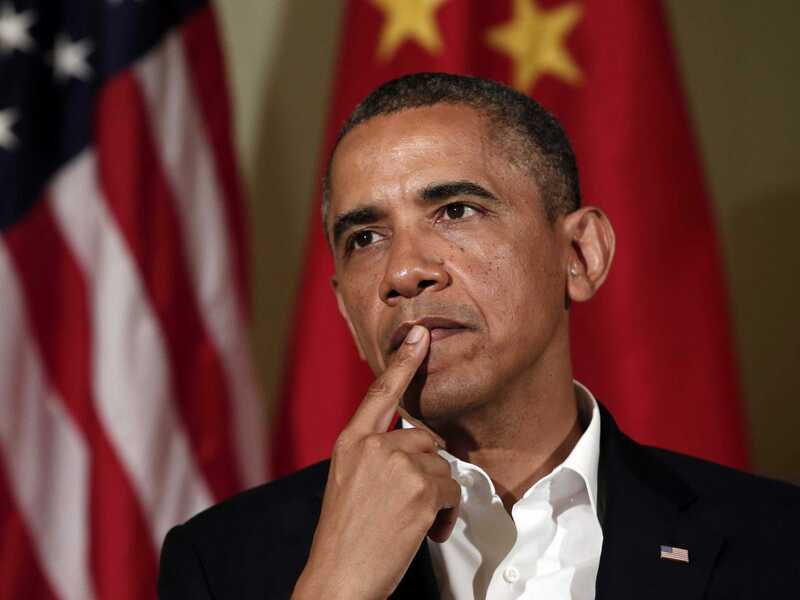 The US administration is publicly worried that the institution will not meet high governance standards, but it really seems opposed to the move because it signals a growing Chinese influence in the region and in global politics. The US has already endured a series of embarrassments over the bank. It might have been expected that some European countries with a cooler relationship with the US would join, which they did. India and Singapore, however, were quick to sign up despite having decent relationships with the US. And several other countries have started joining, leaving the US almost completely isolated in its position. Britain is one of the US' closest allies, but the government has been pursuing an unashamedly warmer relationship with China for several years and was one of the first countries to say it wanted a role in the AIIB. The front page of the Financial Times the next day, in which anonymous White House sources attacked the British government for "constant accommodation" of China, might have been intended as a warning to others, but it doesn't seem to have worked. South Korea has applied, and America's other major allies in the region, Japan and Australia, have been warming to the idea of joining. Tuesday, however, brought the most embarrassing event of all. Taiwan, which has no formal relationship with mainland China, is a former enemy of China, and basically survived the 20th century with its independence only through assistance from the United States, applied to join the AIIB. The infrastructure bank isn't going to be a massive boom for the UK economy, or even for nearer nations like Japan, and the US will not retaliate. The point is that the UK is willing to take a very modest improvement in economic and political ties with China in exchange for a small deterioration in ties with the US. Pretty much every country has decided that this is the right move. We believe through the building of interdependent relationships based on shared economic interests, this New Silk Road plan should deepen political linkages, improve mutual understanding and foster long-term stability in the region. The agreement to set up the AIIB by countries that have territorial disputes with China suggests potentially lower geopolitical risks and lower probability for military conflicts, in our view. But the move goes beyond that — it's a major PR push for China, which the American administration has positioned itself opposite from. So far, that strategy is failing spectacularly for the US. The number of countries applying to be founding members of the Asian Infrastructure Investment Bank (AIIB) rose to 46 by the Tuesday deadline. The AIIB is a multilateral development bank proposed by China to provide financing to infrastructure projects in the Asia region. The soaring participation reflects China's growing international clout and many countries’ desire for a more inclusive, balanced and mutually beneficial international economic order, Xinhua news agency reported. The growing infrastructure demand in cash-strapped Asian countries will necessitate the need for more than $700 billion each year by 2020. More countries are urging Washington to approve IMF quota reforms to allow a better balance of power, but previous attempts to give greater weight to rising states have stalled out of national interests. This is exactly where the AIIB, a China-proposed international lender open to all qualified countries, came in ready to finance major infrastructure projects in Asia and meet the growing demand for a more inclusive and balanced international financial order. Focused as it is on infrastructure development in Asia, the AIIB offers abundant trade and investment opportunities also for developed countries with advanced technology. 47 countries have already applied to join AIIB including China, India, Indonesia, Israel, Bangladesh, Brunei, Cambodia, Jordan, Kazakhstan, Kuwait, Laos, Maldives, Malaysia, Mongolia, Myanmar, Nepal, New Zealand, Oman, Pakistan, Philippines, Qatar, Saudi Arabia, Singapore, Sri Lanka, Tajikistan, Uzbekistan, Thailand, Vietnam, France, Germany, Italy, the United Kingdom, Luxembourg, Switzerland, Austria, Turkey, South Korea, Brazil, Russia, Georgia, the Netherlands, Denmark, Australia, Egypt, Finland, Kyrgyzstan and Sweden. This past month may be remembered as the moment the United States lost its role as the underwriter of the global economic system. True, there have been any number of periods of frustration for the US before, and times when American behaviour was hardly multilateralist, such as the 1971 Nixon shock, ending the convertibility of the dollar into gold. But I can think of no event since Bretton Woods comparable to the combination of China’s effort to establish a major new institution and the failure of the US to persuade dozens of its traditional allies, starting with Britain, to stay out of it. Largely because of resistance from the right, the US stands alone in the world in failing to approve the International Monetary Fund governance reforms that Washington itself pushed for in 2009. By supplementing IMF resources, this change would have bolstered confidence in the global economy. More important, it would come closer to giving countries such as China and India a share of IMF votes commensurate with their new economic heft. With US commitments unhonoured and US-backed policies blocking the kinds of finance other countries want to provide or receive through the existing institutions, the way was clear for China to establish the Asian Infrastructure Investment Bank. There is room for argument about the tactical approach that should have been taken once the initiative was put forward. But the larger question now is one of strategy. Here are three precepts that US leaders should keep in mind. First, American leadership must have a bipartisan foundation at home, be free from gross hypocrisy and be restrained in the pursuit of self-interest. As long as one of our major parties is opposed to essentially all trade agreements, and the other is resistant to funding international organisations, the US will not be in a position to shape the global economic system. Other countries are legitimately frustrated when US officials ask them to adjust their policies — then insist that American state regulators, independent agencies and far-reaching judicial actions are beyond their control. This is especially true when many foreign businesses assert that US actions raise real rule of law problems. The legitimacy of US leadership depends on our resisting the temptation to abuse it in pursuit of parochial interest, even when that interest appears compelling. We cannot expect to maintain the dollar’s primary role in the international system if we are too aggressive about limiting its use in pursuit of particular security objectives. Second, in global as well as domestic politics, the middle class counts the most. It sometimes seems that the prevailing global agenda combines elite concerns about matters such as intellectual property, investment protection and regulatory harmonisation with moral concerns about global poverty and posterity, while offering little to those in the middle. Approaches that do not serve the working class in industrial countries (and rising urban populations in developing ones) are unlikely to work out well in the long run. Third, we may be headed into a world where capital is abundant and deflationary pressures are substantial. Demand could be in short supply for some time. In no big industrialised country do markets expect real interest rates to be much above zero in 2020 or inflation targets to be achieved. In the future, the priority must be promoting investment, not imposing austerity. The present system places the onus of adjustment on “borrowing” countries. The world now requires a symmetric system, with pressure also placed on “surplus” countries. These precepts are just a beginning, and many questions remain. There are questions about global public goods, about acting with the speed and clarity that the current era requires, about co-operation between governmental and non-governmental actors, and much more. What is crucial is that the events of the past month will be seen by future historians not as the end of an era, but as a salutary wake up call. The China-led Asian Infrastructure Investment Bank accepted Iran's membership on Tuesday, the Iranian embassy in Beijing said. The Islamic Republic thus became the 34th founding member of the AIIB, which is the main rival of the World Bank, Iran’s Fars news agency reported. The Iranian embassy noted that the AIIB officials had invited Iran's banking officials to attend the upcoming meetings of the bank. Fifty-seven countries have applied for membership in the international bank and 34 have already been granted membership. China is going to invest about $50 billion in the bank to hold about 50 percent of AIIB's shares. Russia’s First Deputy Prime Minister Igor Shuvalov, speaking on Saturday at a forum in Boao on the Southern Chinese island of Hainan, said the country plans to join the AIIB. Washington’s European allies including Britain, France, Germany and Italy have already also announced they would join the bank, leaving the US isolated, World Bulletin reported. Other countries such as Turkey and South Korea have also said they would join. Brazil, China's top trading partner, said on Friday it would sign up. Al-Juberi purportedly informed the lawmakers during a trip to Washington that Saudi Arabia would be forced to sell as much as $750 billion in Treasury securities and other American financial assets on the world market, fearing the legislation could become law and U.S. courts would then freeze the assets. 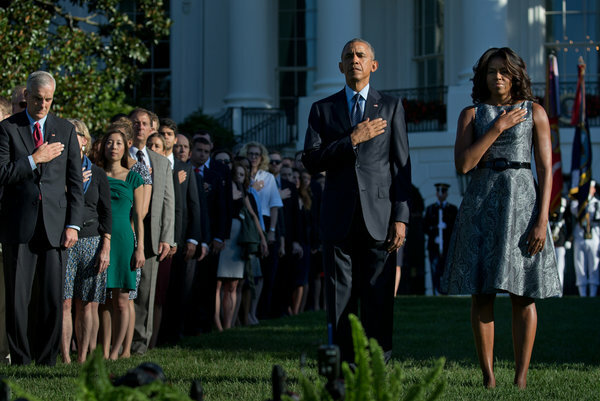 President Obama at a Sept. 11 ceremony in 2015. The Obama administration argues that the bill would put Americans at legal risk overseas. A spokesman for the Saudi Embassy did not respond to a message seeking comment. The dispute comes as bipartisan criticism is growing in Congress about Washington’s alliance with Saudi Arabia, for decades a crucial American ally in the Middle East and half of a partnership that once received little scrutiny from lawmakers. Last week, two senators introduced a resolution that would put restrictions on American arms sales to Saudi Arabia, which have expanded during the Obama administration. Families of the Sept. 11 victims have used the courts to try to hold members of the Saudi royal family, Saudi banks and charities liable because of what the plaintiffs charged was Saudi financial support for terrorism. These efforts have largely been stymied, in part because of a 1976 law that gives foreign nations some immunity from lawsuits in American courts. Interactive Feature | The Big Four in Saudi Arabia’s Government Brief background information on the most powerful figures in the kingdom, and how they stand in the sometimes complicated order of succession. The bill’s sponsors have said that the legislation is purposely drawn very narrowly — involving only attacks on American soil — to reduce the prospect that other nations might try to fight back. The bill is an anomaly in a Congress fractured by bitter partisanship, especially during an election year. It is sponsored by Senator John Cornyn, Republican of Texas, and Senator Chuck Schumer, Democrat of New York. It has the support of an unlikely coalition of liberal and conservative senators, including Al Franken, Democrat of Minnesota, and Ted Cruz, Republican of Texas. It passed through the Judiciary Committee in January without dissent. The alliance with Saudi Arabia has frayed in recent years as the White House has tried to thaw ties with Iran — Saudi Arabia’s bitter enemy— in the midst of recriminations between American and Saudi officials about the role that both countries should play in the stability of the Middle East. But the administration has supported Saudi Arabia on other fronts, including providing the country with targeting intelligence and logistical support for its war in Yemen. The Saudi military is flying jets and dropping bombs it bought from the United States — part of the billions of dollars in arms deals that have been negotiated with Saudi Arabia and other Persian Gulf nations during the Obama administration. (TRUNEWS) What do the Fed’s emergency meetings in Washington D.C., the spree of US leaders visiting Saudi Arabia, and the beginning of bail-in’s have to do with the petrodollar? To help connect those dots, below is a detailed timeline of the significant financial and geopolitical events of the last 2 months. Feb 3 2016: Russian President Vladimir Putin meets with globalist ambassador Henry Kissinger. March 11 2016: Secretary of State John Kerry visited Hafr al-Batin in Saudi Arabia, 60 km southwest of King Khalid Military City, the area which hosted the 350,000 man military drill “Northern Thunder”. March 16 2016: Russia begins surprise withdrawal of warplanes and ground forces from Syria. March 26 2016: South African President Jacob Zuma visited Saudi Arabia and met with the Deputy Crown Prince Mohammed bin Salman bin Abdulaziz, the minister of defense. Pictures of President Zuma opening a weapons factory on his visit have since surfaced. March 29 2016: British Defense Secretary Michael Fallon secretly visited Saudi Arabia and met with Crown Prince Mohammed bin Nayef bin Abdulaziz, who also serves as the deputy prime minister and interior minister. April 3 2016: George Soros run International Consortium of Investigative Journalists (ICIJ) leaked 11.5 million confidential documents stolen from Panamanian law firm Mossack Fonseca, regarding offshore shell companies. The strategic leak attempted to paint Vladimir Putin and King Salman bin Abdulaziz al Saud as tax criminals. April 3-5 2016: Indian Prime Minister Narendra Modi visited Saudi Arabia and met with King Salman bin Abdulaziz al Saud. April 4 2016: Deputy Crown Prince Mohammed bin Salman outlines the Saudi Arabia’s plan to sell off ARAMCO, valued at $2.7 trillion, and transfer the money to the Public Investment Fund (PIF). This would make the PIF the largest fund on earth. April 6 2016: King Salman bin Abdulaziz al Saud met with Egypt’s Prime Minister Sherif Ismail and launched a $16 billion Egyptian-Saudi investment fund, half capitalized in Saudi Arabia’s Riyal (SAR) and the rest in the Egyptian Pound (EGP). King Salman said he wants to build a “metaphorical bridge” between Egypt and Turkey. April 6 2016: US Speaker of the House of Representatives Paul Ryan visited Saudi Arabia and was received by King Salmon bin Abulaziz at Al-Yamamah Palace. Accompanying Ryan were Congressman: Mac Thornberry-TX (Chairman of the Armed Services Committee); Devin Nunes-CA (California Chairman of the House Permanent Select Committee on Intelligence); Michael Turner-OH; Gregory Meeks-NY; Kristi Noem-SD; Ron Kind-WI; Will Hurd-TX. April 8 2016: Atlanta Fed forecasts GDP growth at 0.1%. Two quarters of negative growth is the definition of a recession. April 9 2016: The last 4 Fed chiefs: Janet Yellen ( 2014 — ); Ben Bernanke ( 2006 -2014 ); Alan Greenspan (1987 – 2006 ); Paul Volcker (1979 – 1987), held a rare meeting Thursday night at the International House in New York, a foreign grad students dormitory originally founded by the Rockefeller’s. The discussion was moderated by CNN’s Fareed Zakaria, an active member of the globalist think tank, the Council on Foreign Relations (CFR). April 10 2016: Senior members from the two 9/11 investigation committee’s appeared on “60 Minutes” calling for release of the classified 28 pages of the Congressional 9/11 investigation. Members indicated documents prove Saudi Arabia’s involvement. April 10 2016: Saudi owned PIF — the fund ARAMCO’s $2.7 trillion sell off will be transferred into — announces investment plan. 50 percent of holdings will be in foreign investments, China may purchase large chunk of ARAMCO. April 11 2016: Austria became the first EU nation to employ the “bail in” procedure, rescuing creditor Heta Asset Resolution from bankruptcy as Austrian bank Hypo Alpe Adria announced it would be unable to pay back an outspend €11 billion. April 11 2016: Emergency meeting called by Italy’s Finance Minister Pier Carlo Padoan. Italian bankers engage “last resort” to save banks crippled by €360 billion subprime loan burden, with only €50 billion capital in hand. April 11-13 2016: Fed Chief Janet Yellen holds 3 days of closed door emergency meetings with the Fed’s Board of Governors. Unprecedented. April 11 2016 Afternoon: Fed Chief Janet Yellen grants an audience to President Obama and VP Joe Biden. Last meeting November 2014. April 11-12 2016: Russian SU-24 fighter jets conducted 31 mock attack runs on the US Destroyer Donald Cook as it sailed through the Baltic Sea. Planes flew within 30 feet. A Russian Ka-27 Helix helicopter also conducted 7 overflights, reportedly taking pictures of the ship. April 12-17 2016: Spring Meetings of the International Monetary Fund (IMF) and the World Bank Group being held in Washington D.C. begin. April 12 2016: WSJ publishes Fed and Federal Deposit Insurance Corp (FDIC) rejections of “Living Wills” from the 5 big US banks: J.P. Morgan, Wells Fargo, Bank of America, Bank of New York, and State Street. Massive illiquidity exposed. 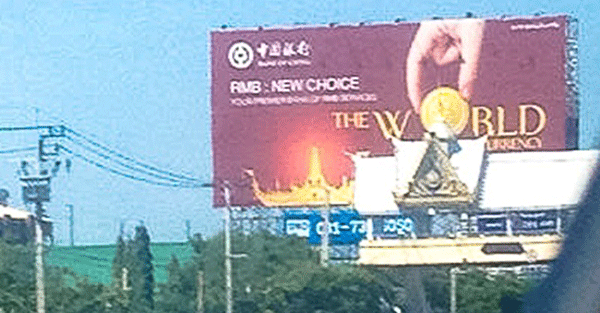 April 13 2016: China’s big four banks among 18 members to join a new yuan-denominated gold benchmark, to launch April 19th. April 13-15 2016: World Finance ministers and Central Bank Governors gather in Washington D.C. For a three day G-20 meeting. April 13 2016: Fed and FDIC begin investigation to find anonymous sources of “Living Will” leak to WSJ. April 13 2016: Following the horrendous U.S. Bureau of the Census retail sales report, Atlanta Fed revises forecast for GDP growth to 0.3%, consumer spending growth from 1.6% to 1.8%. April 13 2016: Etai Friedman, CEO of Eyal Capital Management, tells TRUNEWS that retail report shows US is entering recession, Fed forecasts are lies. April 13-19 2016: Turkish President Recep Tayyip Erdogan met with King Salman bin Abdulaziz al Saud in Ankara for the Organization of Islamic Cooperation (OIC) summit. Previously met in Riyadh in December 2015 to sign the strategic cooperation agreement which began the 34 nation Arab coalition. This lead to the formation of the 350,000 man invasion force in Northern Saudi Arabia. April 14 2016: US Treasury auctions $12 billion of 30 year security bonds. April 14 2016: Government regulators allow Fannie Mae and Freddie Mac to cut loans balances for 33,000 eligible U.S. borrowers who owe an unpaid principal balance of $250,000 or less and whose loan-to-value ratios exceed 115 percent. April 14, 2016: Deutsche Bank admits to rigging Gold and Silver prices, agrees to expose other financial institutes complicit in price manipulation. April 19 2016: China launches new yuan-denominated gold benchmark on Shanghai Gold Exchange (SGE). April 19 2016: Next GDP growth update from Atlanta Fed. April 20 2016: US Secretary of Defense Ashton Carter will visit Riyadh to meet with Saudi Arabia’s Deputy Crown Prince and Defense Minister Mohammed Bin Salman al-Saud. He will also attend a GCC ministerial meeting ahead of the GCC summit. Previously met with Deputy Crown Prince in Brussels Feb 11 2016. April 21 2016: President Obama to visit Riyadh and meet with Saudi Arabia’s leader King Salmon bin Abulaziz, as well as a summit of leaders from the Gulf Cooperation Council. Previously visited for King Salmon’s crowning in 2014, after King Abdullah bin Abdulaziz al Saud died. April 26-27 2016: Board of Governors of the Fed will gather for regularly scheduled Federal Open Market Committee (FOMC) meeting. September 2016: IMF makes decision on whether to include the Chinese Yuan in the SDR’s basket of currencies. The International Monetary Fund on Monday admitted China’s yuan into its benchmark currency basket in a victory for Beijing’s campaign for recognition as a global economic power. The IMF’s executive board agreed to add the yuan, also known as the renminbi, to its Special Drawing Rights (SDR) basket alongside the dollar, euro, pound sterling and yen, in a move earlier backed by IMF chief Christine Lagarde and in-house experts. The currency will have a 10.92 percent share, in line with expectations, after a review of the weightings formula for the SDR, which determines which currencies countries can receive as part of IMF loans. The yuan’s inclusion is a largely symbolic move, with few immediate implications for financial markets. But it is the first time an additional currency has been added to the SDR basket and the biggest change in its composition in 35 years. Last set in 2010, the basket is currently 41.9 percent dollar, 37.4 percent euro, 11.3 percent sterling and 9.4 percent yen. The yuan CNH= CNY= would not join until October 2016, allowing reserve managers time to prepare. Under the new weightings, the euro’s share will drop to 30.93 percent. Sterling and yen will also have lower weights while the dollar remains about the same. To be included in the SDR basket, the yuan had to meet the criteria to be “freely usable,” or widely used to make international payments and widely traded in foreign exchange markets — a yardstick it missed at the last review in 2010. The addition is likely to fuel demand for China’s currency and for renminbi-denominated assets as central banks and foreign fund managers adjust their portfolios to reflect the yuan’s new status. Currency analysts estimate the IMF seal of approval could fuel demand worth more than $500 billion in coming years and take the yuan’s share of global reserve holdings to around 5 percent, overtaking the Canadian and Australian dollars. Swift, the vital global financial network that western financial services companies, institutions and banks use for all payments and transfer billions of dollars every day, warned its customers yesterday evening that it was aware of cyber fraud and a number of recent "cyber incidents” where attackers had sent fraudulent messages over its system and $81 million was apparently stolen from a central bank. As reported by Reuters, the disclosure came as law enforcement agencies investigate the February cyber theft of $81 million from the Bangladesh central bank account at the New York Federal Reserve Bank. Swift has acknowledged that the scheme involved altering Swift software on Bangladesh Bank’s computers to hide evidence of fraudulent transfers. Yesterday’s statement from Swift marked the first acknowledgement that the cyber attack on the New York Federal Reserve Bank was not an isolated incident but one of several recent criminal schemes that aimed to take advantage of the global messaging platform used by some 11,000 financial institutions. “Swift is aware of a number of recent cyber incidents in which malicious insiders or external attackers have managed to submit Swift messages from financial institutions’ back-offices, PCs or workstations connected to their local interface to the Swift network,” the group warned customers. The warning, which Swift issued in a confidential alert sent over its network, did not name any victims or disclose the value of any losses from the previously undisclosed attacks. Swift, or the Society for Worldwide Interbank Financial Telecommunication, is a co-operative owned by 3,000 financial institutions. Also, Swift released a security update to the software that banks use to access its network to thwart malware that security researchers with British defense contractor BAE Systems said was probably used by hackers in the Bangladesh Bank heist. We have for some time warned of the risks posed by cyber fraud and war to banks, savings and indeed investments. The apparent theft of $81 million from a central bank from an account at the New York Federal Reserve shows this. Cyber theft is a real risk for all digital or virtual wealth today – whether that be digital bank accounts and deposits or electronic stock and other exchanges. Fintech solutions involving the vitally important blockchain cometh and not before time. However, many of these solutions are also vulnerable in the short term as the nascent industry grows and the best solutions survive and thrive and less safe ones are slowly found out by the market and disappear. The risks posed to bank deposits, markets and indeed all online investments and savings by hacking, cyberterrorism and cyberwar remains not understood. Those who hold physical gold and silver coins and bars outside the banking system as an insurance policy would certainly weather the storm better than those who do not. The hope is that these risks will not materialise. Hope is not a strategy. We believe it is prudent to be aware of and take appropriate measures to protect your wealth. Our modern western financial system with its massive dependency on single interface websites, servers and the internet faces serious risks that few analysts have yet to appreciate and evaluate. These also pose risks to digital gold providers who do not allow clients to interact and trade on the phone and are solely reliant on online trading platforms. "Bangladesh is one of the poorest countries in the world. $100 million of their money disappeared. The money was on deposit with the Federal Reserve Bank of New York, the safest bank in the world. The culprits hacked SWIFT, one of the most secure message traffic systems in the world. If the Fed and SWIFT aren't safe, nothing is safe. If Bangladesh had held physical gold, they would still have their money. 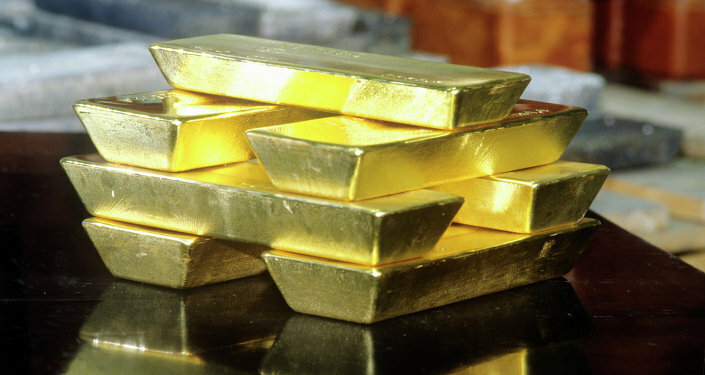 The case for owning gold in an age of cyber-financial threats is compelling." 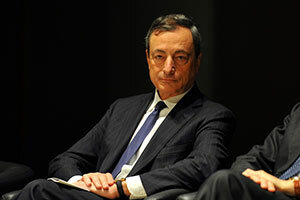 The ECB’s Mario Draghi attended the Shanghai Accord. A new conspiracy theory emerged after February's famed G20 Summit of the world's economic policymakers and leaders. It even has a name: The "Shanghai Accord" conspiracy theory. As it goes, the alleged Shanghai Accord was a side meeting of only a handful of economic policymakers (in Shanghai – hence the name) that took place concurrently with the G20 Summit on Feb. 26. Attendees of the clandestine powwow included U.S. Federal Reserve Chair Janet Yellen, U.S. Secretary of the Treasury Jack Lew, Christine Lagarde from the IMF, Mario Draghi from the ECB, and central bank and finance ministry counterparts from China and Japan. The chief reason for the Shanghai Accord was to allow these choice global policymakers a chance to plan the demise of the U.S. dollar. One month ago, when we last looked at the Fed's update of Treasuries held in custody, we noted something troubling: the number dropped sharply, declining by over $27.5 billion in one week, the biggest weekly drop since January 2015, pushing the total amount of custodial paper to $2.83 trillion, the lowest since 2012. One month later, we refresh this chart and find that in the latest weekly update, foreign central banks continued their relentless liquidation of US paper held in the Fed's custody account, which tumbled by another $22.3 billion in the past week, pushing the total amount of custodial paper to $2.805 trillion, another fresh post-2012 low. Then today, in addition to the Fed's custody data, we also got the latest monthly Treasury International Capital data, which showed that the troubling trend presented last one month ago, has accelerated. Recall that a month ago, we reported that in the latest 12 months we have observed a not so stealthy, in fact quite massive $343 billion in Treasury selling by foreign central banks in the period July 2015- July 2016, something truly unprecedented in size and scope. Fast forward to today when in the latest monthly update, that of July, we find that what until a month ago was "merely" a record $343 billion in offshore central bank sales in the LTM period ending July 30, one month later this number has risen to a new all time high $346.4 billion, or well over a third of a trillion in Treasuries sold in the past 12 months. Among the biggest sellers - on a market-price basis - not surprisingly was China, which in July "sold" $34 billion in US paper (the actual underlying number while different, as this particular series is adjusted for Mark to Market variations, will be similar), the biggest monthly dump going back to 2012, and bringing its total to $1.185 trillion, the lowest total since 2012. It wasn't just China: Saudi Arabia also continued to sell its TSY holdings, and in August its stated holdings (which again have to be adjusted for MTM), dropped from $96.5BN to $93Bn, the lowest since the summer of 2014. As we pointed out one month ago, what is becoming increasingly obvious is that both foreign central banks, sovereign wealth funds, reserve managers, and virtually every other official institution in possession of US paper, is liquidating their holdings at a very troubling pace. In some cases, like China, this is to offset devaluation pressure; in others such as Saudi Arabia, it is to provide the funds needed to offset the collapse of the petrodollar, and to backstop the country's soaring budget deficit. So who are they selling to? The answer, at least for now, is private demand, in other words just like in the stock market the retail investor is the final bagholder, so when it comes to US Treasuries, "private investors" both foreign and domestic are soaking up hundreds of billions in central bank holdings. We wonder if they would do that knowing who is selling to them. Meanwhile, while just two months ago yields had tumbled to near all time lows, suddenly the picture is inverted, and long-yields are suddenly surging on concerns the BOJ, the Fed, and maybe even the ECB will soon taper their purchases of the long end. What happens if in addition to the relentless selling from foreign official institutions, private sellers also declare a buyer's strike. The answer? More Fed monetization of US debt will be the most likely outcome, aka more QE. We bring this up because, amusingly, the Fed is still harboring some naive hope it can/will raise rates in the coming week and/or months. Ever since China began to duplicate Western financial institutions starting in 2013, more and more nations have begun matriculating towards the East, and away from dollar hegemony. And one of the most important of these new infrastructures is the Chinese CIPS platforms which functions for the RMB the same way SWIFT does for the dollar. Yet unlike the way SWIFT charges for swaps when nations have to use the dollar as a middleman since it still reigns as the world's singular reserve currency, CIPS allows for much lower transaction fees and the convenience of bypassing the U.S. currency through direct bi-lateral currency settlement. Hiroshima Bank and 13 other Japanese regional banks will connect to an interbank payment network that enables direct yuan wiring to mainland China -- a move that will lower transaction fees and boost convenience for customers. Joining the China International Payments System will reduce fees and processing days. Juroku Bank and Joyo Bank are also among the Japanese banks taking advantage of the system introduced by the People's Bank of China. They will be connected one by one after the end of the Chinese New Year holidays via the Bank of Tokyo Mitsubishi UFJ, which connected to the system last year. As the world continues to reject the dollar and the old financial model of a singular reserve currency, more countries are seeing the benefits of transacting in a bi-lateral environment. And once enough of these nations decides to follow this new economic model being laid out from Beijing, and create the critical mass needed to bypass the dollar completely, then the reserve currency will simply fade away via de facto consent, and force change onto the Western institutions that have run the global financial system for decades. LONDON, The United Kingdom – Bank of England President Mark Carney revealed that the Chinese yuan could become a reserve currency in the future and replace the US dollar as the global reserve currency. According to him, the Chinese yuan may potentially become a global reserve currency along with the US dollar, however, these changes tend to be more much slower than the changes in the size of the economies of the two countries. “As the world re-orders, this disconnect between the real and financial is likely to reduce, and in the process other reserve currencies may emerge,” Carney said on January 9 during an online forum hosted by the Bank of England, as quoted by Reuters. “In the first instance, I would expect these will be existing national currencies, such as the RMB,” Carney added, referring to the abbreviation of the Chinese currency. The US dollar remains the most widely used currency in the world. The use of the dollar facilitates the valuation of contracts and international trade in general. However, in recent years more and more countries are discussing the abandonment of the dollar in international transactions, while the aggressive trade policy of President Donald Trump has made the US dollar less suitable for international payments. China has increased the yuan’s share in negotiating with major trading partners, in particular with Russia and Iran, which are under US sanctions. In addition, in March 2018 Beijing launched future oil contracts quoted in yuan. OPEC’s third largest oil producer, Iran, already sells its oil to China for yuan. Iran however is not the only country wanting or forced to trade in local currencies. Many states against the US dollar hegemony, such as Turkey, Venezuela and Russia, are all moving towards trading in local currencies. However, even traditional US puppets such as the United Arab Emirates as moving towards de-Dollarization. “Should it reach the limit for domestic purchases, I think the central bank will start to import gold,” said Oleg Kouzmin, chief economist at Renaissance Capital in Moscow and former adviser in the central bank’s Monetary Policy Department. Given the geopolitical risks, it’s likely the central bank will keep increasing gold’s share of reserves, he said.